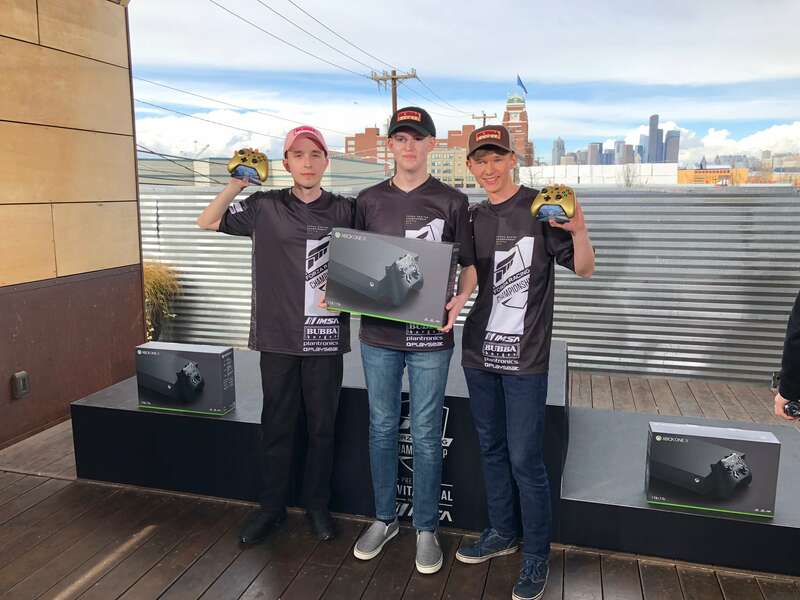 It’s already been over a week since the ForzaRC Pre-Season Invitational was held in Seattle, WA – the home of Forza Motorsport developer Turn 10 Studios, where 18 invited drivers battled it out across both individual and team competition. Now you can re-experience all the racing action as the full event has been uploaded to the ForzaRC YouTube channel for your own on demand viewing pleasure – available to enjoy whenever you desire. With almost six hours of broadcasted action to watch, there’s a lot here to consume – but when you strip it down to just the races without any of the interviews, adverts, or breaks, it should take a lot off the final watch time. In addition to the line-up of ForzaRC talent, the livestreamed welcomed motorsport broadcaster and the voice of IMSA himself – John Hindhaugh, to the desk to both commentate and offer his analysis and racing knowledge to some of the races. There was also an interview with David Kolkmann, fresh off a run from the 12 Hours of Sebring, as well as Ben Williams, vice president of The Online Racing Association – more commonly known as TORA by the Forza community. Parked beside the casting desk was the #73 Park Place Motorsports Porsche GT3 R GTD – adorned by its scuffs and scratches from its stint during the 12 Hours of Sebring. The broadcast came live from a new purpose-build studio in Seattle and saw some incredible on-track action as team racing featured in the Forza Racing Championship for the first time since its 2016 inception. Four of the biggest teams in the Forza community were represented, including AMS Alien Motorsport, Japspeed Racing, F4H Motorsport, and Virtual Drivers by TX3. With consistent results and excellent team-play across each event, F4H Motorsport emerged on top, with F4H Racerz winning two races in the team events and a total of three races throughout the entire invitational. As for the individual racing series, it was the return of a fan-favourite as G2 Laige took the lead and stood atop the podium with AMS RoadRunner and TX3 Lightning joining him with their respective second and third place finishing results. For an in-depth look at the racing which featured throughout the ForzaRC Pre-Season Invitational, don’t miss our recap that breaks down each race and result of both the individual and team competition. Plus, don’t miss our feature story on F4H Motorsport, in which we speak to teammates Tobin ‘Racerz’ Leigh and Daniel ‘ForceOne’ Nyman on their success in Forza esports so far, and their expectations for the upcoming 2018 season. With the ForzaRC Pre-Season Invitational Presented by IMSA now behind us, the first full ForzaRC season to be played on Forza Motorsport 7 is about to commence as the first Rivals qualifiers opens this week whilst the first bi-weekly Wednesday Showdown broadcasts will be on April 11th at both 12pm PDT (3pm EST, 8pm BST) and 6pm PDT (9pm EST, 2am BST). You can register for this year’s season of competitive racing over on the official ForzaRC website. See you on the track, drivers.